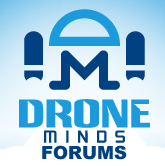 Discussion in 'Drone Aerial Videos and Photographs' started by Mystery.Shadow, Nov 27, 2015. There's so many trees there, it's amazing. Do people ever get lost in there? A lot of my area is (still!) forest. As you can see in the distance, all the mountains are covered with trees. I could easily see how someone unfamiliar with the area could get easily lost! If you've seen, many of my videos are of wooded areas. There may be people lost in them right now! Perhaps very hairy people who've been lurking in there a very long time?! As with any wooded area, there are reports of "Bigfoot" ! Who knows, maybe he'll get spotted by a drone. Here's a flight I took today. Word was of a semi truck "fully engulfed" on the top of Haystack Mountain. I used this VTOL location before and it has a great view of the interstate. I know I should not get this close to a major road, but since there wasn't any traffic, I thought it may be safe to do so. I still could not get very close to the actual truck (which was already extinguished by the time I arrived) due to line-of-sight issues. That and I did not wish to cause any problems with any firefighters or rescue personnel. That's pretty cool. Maybe if you get spare money you could get the Inspire 1 Z3 zoom camera, would be pretty good for stuff like that? What I'd like to know is why can you use digital zoom with the DJI Go App in 1080p, but not in 4k !? I know I can do it in "post", but why not from within the App? More flying. This time concentrating on just the private catholic school, Bishop Walsh. I guess because a 1080 frame only uses a small part of the sensor, so there's more to play around with? Same as if you record in 4K and export to a 1080 timeline, you can zoom into the 4k size images with a 1080 frame size. True, but 'digital zoom' just feels like cheating. Did another flight around the High School Construction Project. Are you gonna put all the clips together when they finish up? Yeah, that's the plan. To make a compilation video once it's complete. Autumn has arrived in my neck of the woods! "Cheating" by using a Polarizing Filter to make the colors "pop". That's really cool. It's all changing here a bit now as well, but it looks a lot more dramatic where you are. A friend of mine who works with one of those guys told me about it "Look what I found on Youtube!" He was all excited about the aerial footage and rather surprised at the quality of video "those toys" can take. My friend laughed, as he knew it was one of my videos. But was happy to report on how much they appreciated that someone has a video record of it and it's progress, as none of them had thought of it. They never even took photographs from the ground! It looks completely different from the lower laying lands. It's amazing how much of a difference just a thousand feet (304 meters) in elevation can make! I am jealous of your travels! Just wait till you see what I have planned for 2018! Blah! The only day that it was "nice" out, the KP Index was FIVE! Guess I need to sacrifice a virgin to the weather gods.... Oh wait, those don't exist anymore. Guess we're screwed! Nice pun virgins don't exist we're screwed lol!